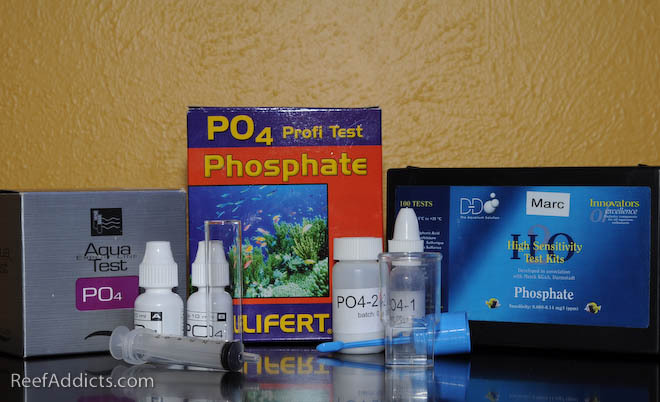 Water testing is a necessity for a happy reef. Water tests are performed often. Specific key areas may be checked or tested daily or every few days, but the full battery of tests are done once or twice a month. When those are completed, that is when I update my spreadsheet and post it on the site. Below are the basic parameters within acceptable range limits, but a tighter swing within the high and low range is best. 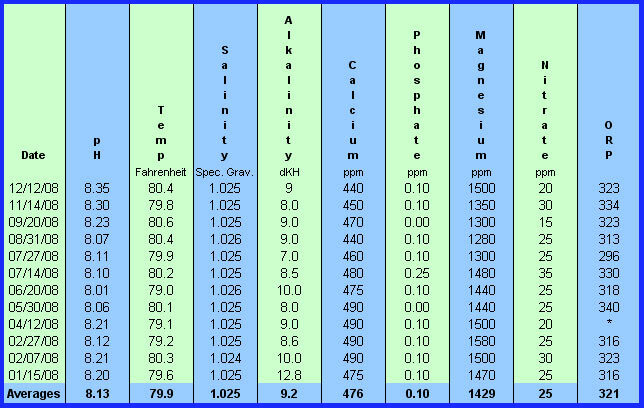 For example, if pH measures 8.1 to 8.3 daily, that would be better than 7.9 to 8.4 daily. The more consistent with limited variation, the better. 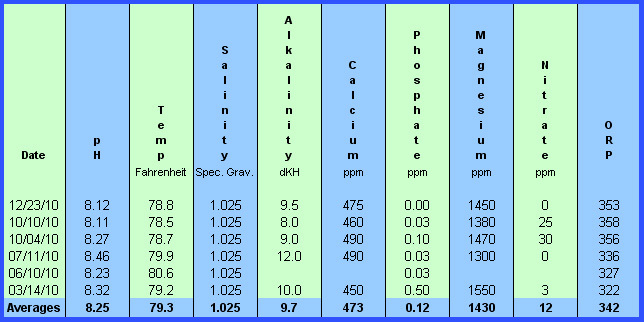 Salinity 1.026 sg - a calibrated refractometer is the best tool to measure salinity. A hydrometer will measure specific gravity, while a refractometer will show parts per million. 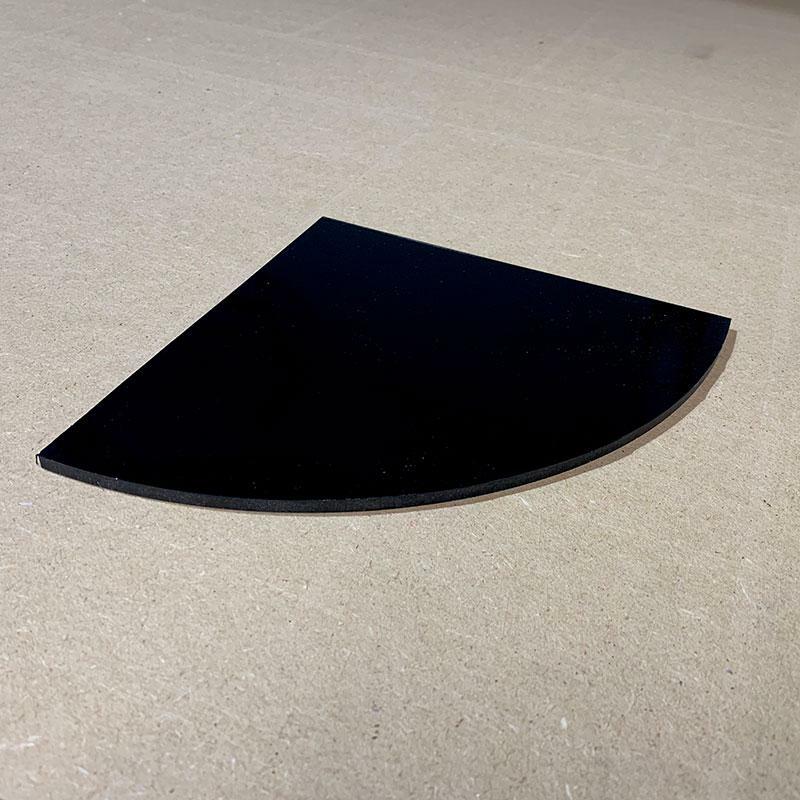 35ppt is the target measurement that is closely equal to 1.026 sg. 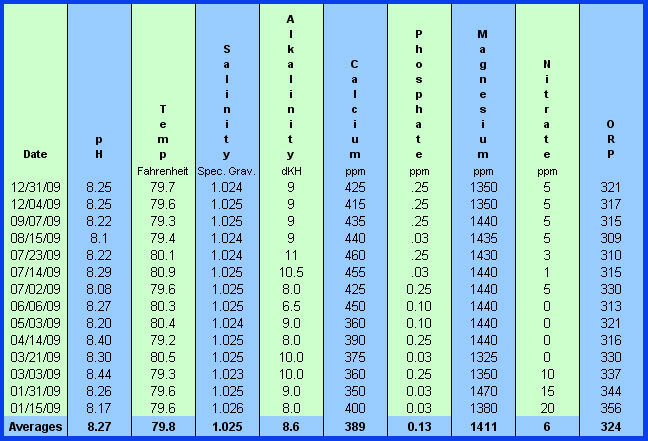 pH 7.9 to 8.3 - this varies daily in a tank; measure with a Pinpoint Meter or controller rather than a test kit. 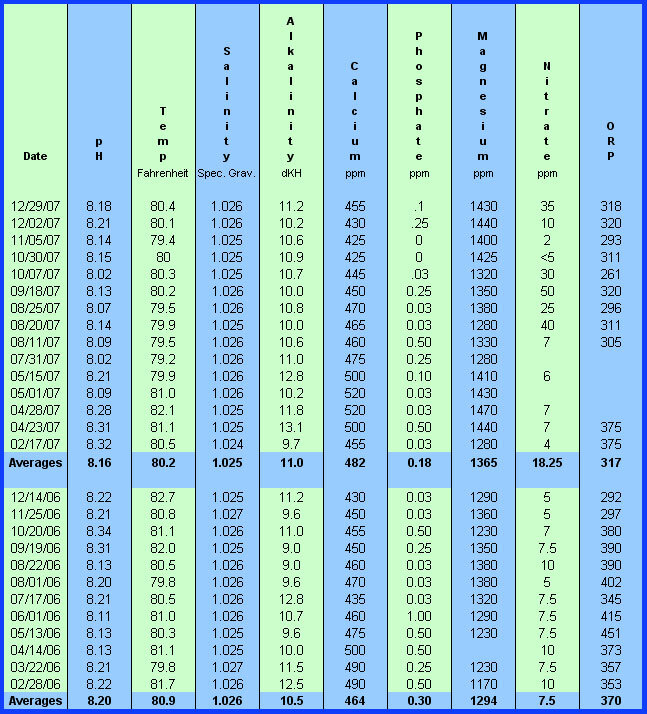 Temperature 78° F to 84° F - average reef temperature tends to be 81° F; try to keep within a 1.5° to 2° swing at the most. EDIT: November 2017: I just started tracking my parameters with the new iOS ReefTrace App. In February 2011, my new 400g reef was started. 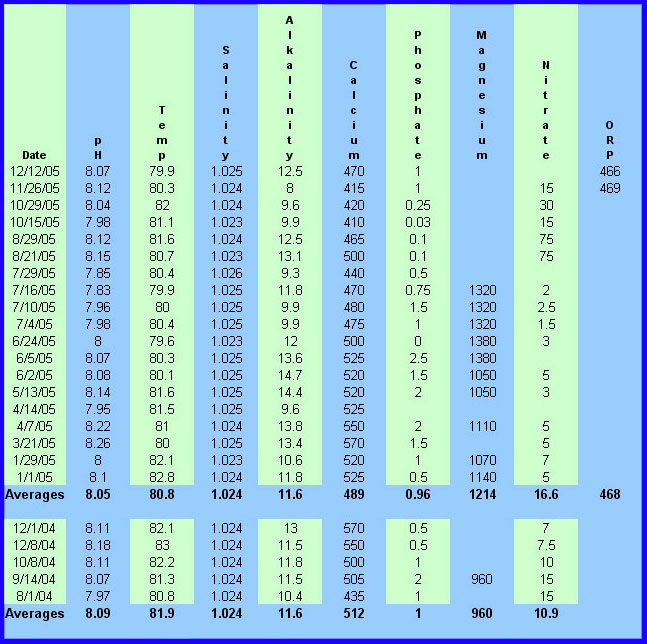 Readings are taken at various times, and are documented here to allow you to see how the parameters vary over time. 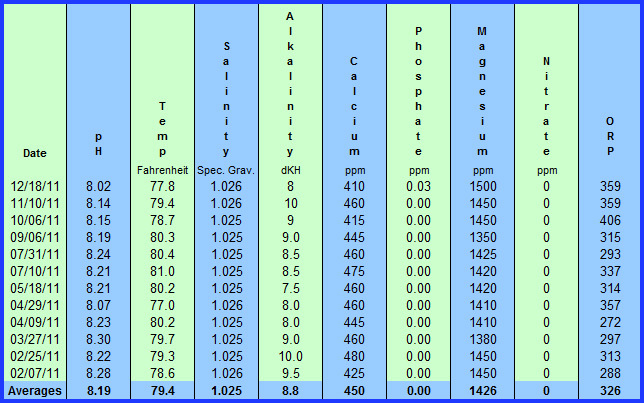 Readings from my 280g reef were taken at various times, and are documented here to allow you to see how the parameters vary over time. This aquarium ran for nearly six years, but in early July 2010 it sprung a leak. Any measurements thereafter were taken from the livestock vats while the new system was being built from the ground up. * Both reef tanks were upgraded to a 280g during this year. Blank entries were not taken for whatever reason. Certain tests are ignored, such as Ammonia because they typically result in 0. Posted 4 hours 41 min ago.